Meditation is an ancient practice of self-discovery that has been taught for more than 2,500 years. The view of meditation is that every human being has the ability to cultivate the mind’s inherent stability, clarity and strength. In this way, we can develop mindfulness and awareness, as well as the compassion and insight needed to care for ourselves, others and the world. The main meditation taught at the Ottawa Shambhala Meditation Centre is a mindfulness meditation called shamatha (Sanskrit for “peacefully abiding”). It is practiced as sitting meditation, walking meditation and shamatha yoga. Anyone can learn to meditate. It does not require belief in any particular spiritual tradition and requires no particular physical skill. 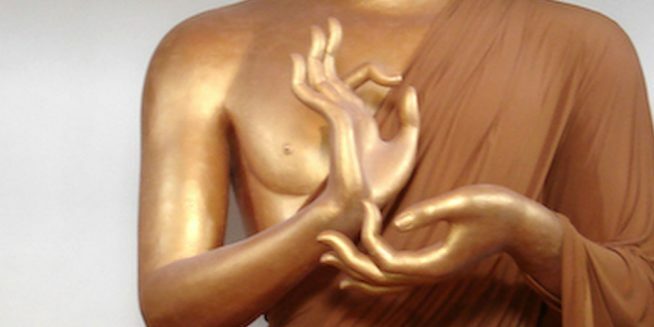 Learn more about the Shambhala Buddhist approach to meditation.